At the end of 12th Street in the Industrial Park. Time is always a factor when dealing with agriculture, commercial and industrial operations. Let us get you back up and running fast! As well as maintain your operational equipment so down times are minimal or not at all. We value our customers above all and strive to keep you operating and satisfied! Skill and knowledge makes the difference. 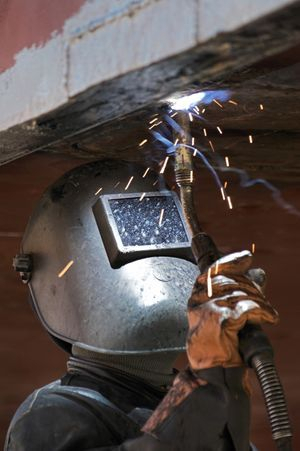 CWB and Journeyman welder certification provides you with the highest standards and quality of work. Providing welding and fabricating services in Central and Southern Alberta. Specializing in Welding with extensive knowledge of Agriculture Operations, Repairs are efficient and completed with confidence. Call to book an inspection for the maintenance of all your equipment and machines. Begin a maintenance program with us to keep your business running at it's best! We will be honest and provide the most effective solutions for you. With over 17 years experience within the agriculture industry and serving facilities around Southern Alberta we bring commitment and expertise to you. Satisfaction and the quality of our work is our highest priority. We will provide and best service in the industry! Alberta Certified Industries Ltd is focused on providing high-quality service and customer satisfaction - we will do everything we can to meet your expectations.